American Photographer Ted Tahquechi is shining a light on visually impaired artists through his own thought-provoking body of work, "Landscapes of the Body." After a car accident in 1999 left him almost completely blind, Tahquechi found himself having to explore new and dynamic ways to capture the world around him on film. After his accident, Tahquechi amazingly went on to complete a college degree in fine art photography, which sparked his interest in abstract representations of the body, with a distinct focus on form, shape, and negative space. "Landscapes of the Body" is a six year long labor of love which has culminated in an exceptional gallery of photographs which celebrates both positive body images and shares an insight into the way in which he literally sees the world. All images range from the easily recognizable to interpretive abstract work and feature much of the black visual field which Tahquechi himself sees. The photographic models featured in the collection are both professional and amateur and are an intriguing blend of ages (ranging from 19–66), ethnicity, and body sizes. Tahquechi’s photographs do not feature any genitalia, making his collection suitable to be viewed and enjoyed by all ages. "Landscapes of the Body" showcases the body scope style of portraiture and highlights the light and shadows and abstract lines which Tahquechi visualizes in his mind. 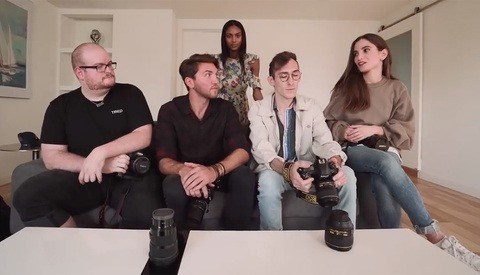 Over the duration of the project, he used a range of cameras including a Canon EOS 7D, a Canon EOS 5D Mark III and a Canon EOS 5D Mark IV, and the use of Photoflex strobes. Photoshop is only used minimally to alter colored photos into black and white. Tahquechi prefers not to retouch any of his photographs of the human body, instead choosing to celebrate the natural curves and shapes, whilst embracing the way light wraps around them. The end result is nothing less than superb. Tahquechi’s six year long journey into the landscape of the human body is a marvelous celebration of all that is physical, sensual and diverse and transcends some light into what has traditionally stayed dark. For more information about Tahquechi's work and the project, visit his website. 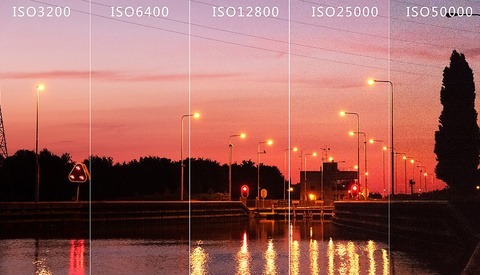 Do You Know the Maximum Acceptable ISO Value for Your Camera?